Cheshire is our most requested room and is a favorite with our honeymoon, anniversary and special occasion couples. Decorated in rich gold and hunter green with a beautifully carved teak queen size bed. 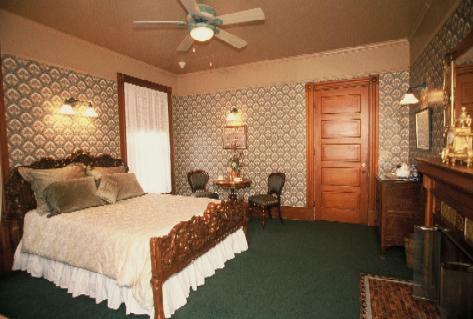 To add to the romance, the bed faces a gas log fireplace. 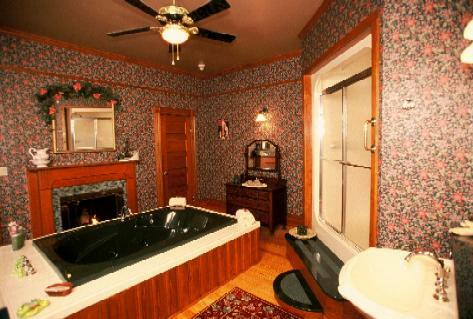 The bath is large and elegant, with a two person whirlpool, a second gas log fireplace and double headed/double control shower.